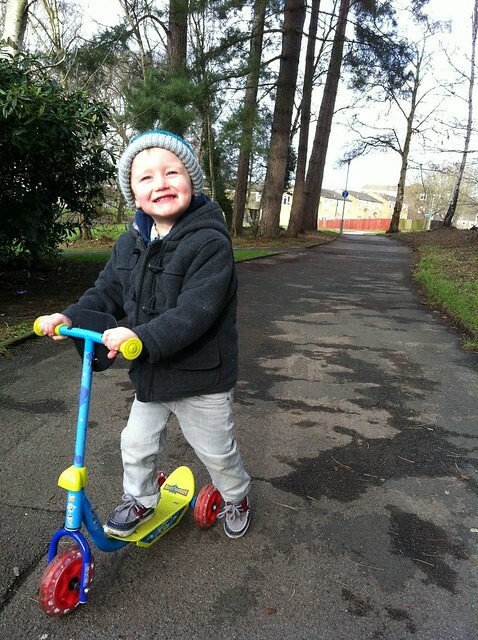 Daniel, scooting to Nanny and Grandad's house. This is how he smiles when I ask him now. 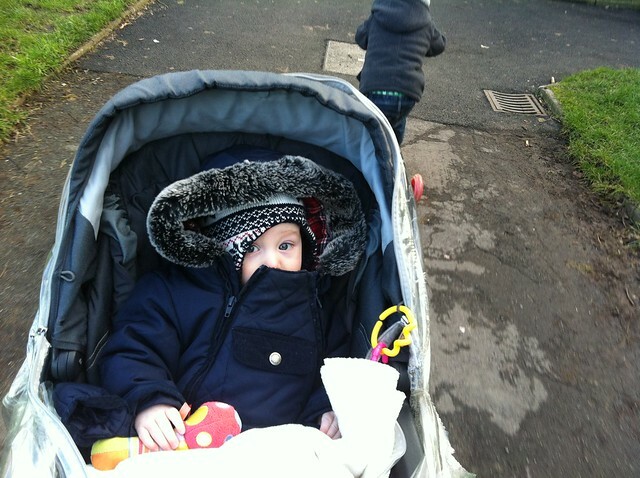 Joshua, snuggled up in the pushchair. Those gorgeous eyes are all I can see.